Anyone need a new pair of shoes for spring? Well head on over to Piperlime. 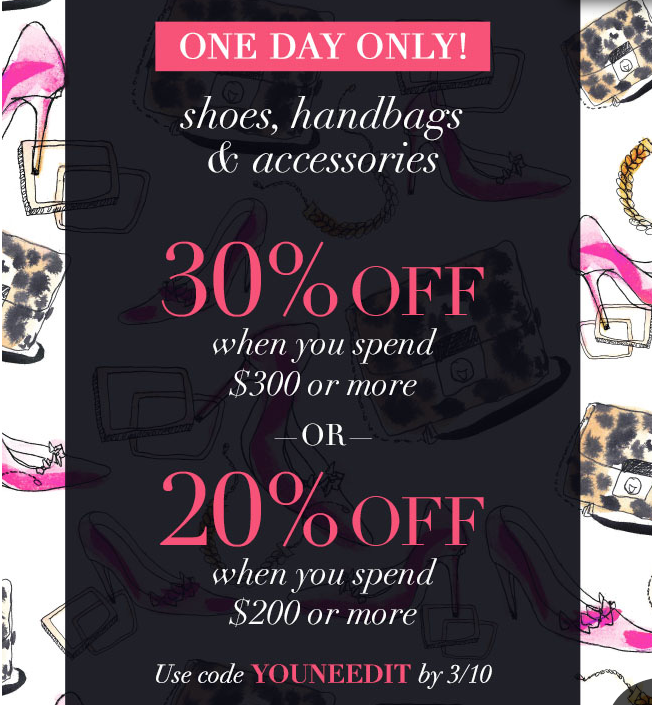 They are having a one day sale on shoes, handbags & accessories. You can take up to 30% off your purchase with code YOUNEEDIT.